ASD Service Learning: Grade 3 Talking Service Learning! 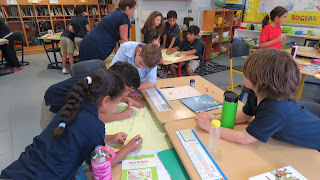 Grade 3 has started off the year of service learning early this year! 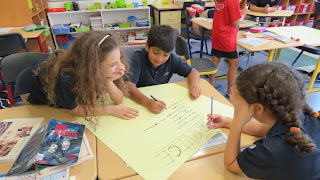 Part of their work has been focused studying the initiatives of other children who have become change makers (see Campbell's story and Milo's story) and recognizing that each of us has a "role to play" in making the world a better place. But what is also important is an understanding of service learning and the multi-directional relationship between service and learning. How do we define service learning? What can we learn from serving others? How can we serve while learning? What might that look like? 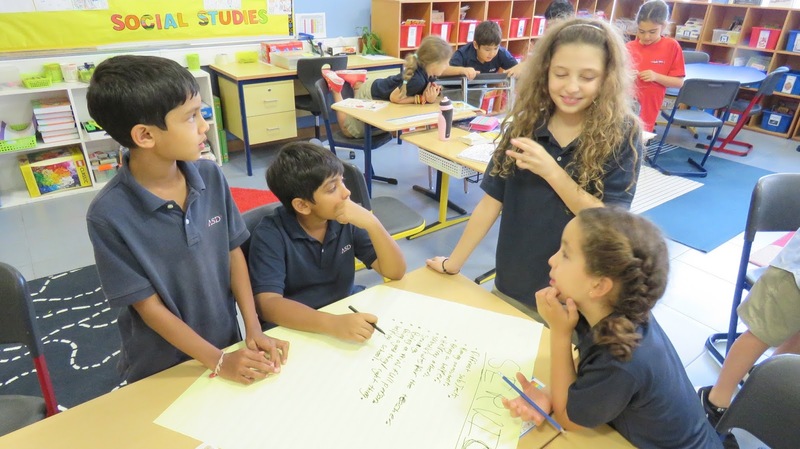 Those are questions that grade 3 students are currently answering as they build their skills in communication, presenting, collaboration! 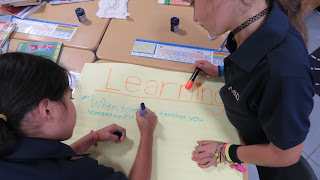 The pictures above are indicative of the learning experiences that students are involved in as they gain a deeper understanding on what service learning is, how it is structured and the many forms of learning that take place through service. Then, as they relate that to our examples of young change makers (above), we allow them to generate a much more solid understanding of the change that one can make in his/her community. All great things with our young learners!